The W3C OWL Web Ontology Language has been a W3C recommendation since 2004, and specification of OWL 2 is now in progress. OWL is playing an important role in an increasing number and range of applications and as experience using the language grows, new ideas for further extending it's reach continue to be proposed. This year's 2008 OWLED workshop will be co-located with the International Semantic Web Conference (ISWC), this year held in Karslruhe, Germany on October 26 - 27, 2008 (Johann Peter-Hebel-Saal Room). 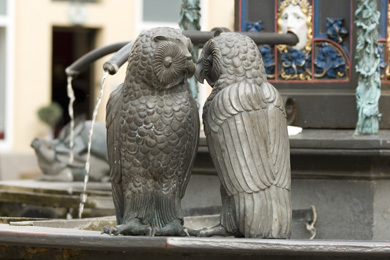 The workshop will concentrate on issues related to the development and W3C standardization of OWL 2, but other issues related to OWL are also of interest, particularly those related to the task forces set up at OWLED 2007. As usual, the workshop will try to encourage participants to work together and will give space for discussions on various topics, to be decided and published at some point in the future. We ask participants to have a look at these topics and the accepted submissions before the workshop, and to prepare single "slides" that can be presented during these discussions. There will also be formal presentation of submissions to the workshop. The workshop papers are available from CEUR, as http://ceur-ws.org/Vol-432.